All her life Amanda Hughes has been a "Walter Mitty", spending more time in heroic daydreams than the real world. At last she found an outlet writing adventures about audacious women in the 18th and 19th Century. Amanda is a graduate of the University of Minnesota, and when she isn't off tilting windmills, she lives and writes in Minnesota. 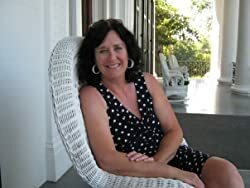 Don't miss her page-turning novels for readers who like historical fiction with a bit of romance. Please enter your email address and click the Follow button to follow Amanda Hughes!